Martin ’E-Type’ Eriksson has been known to a wide audience for a long time. It all started in 1991 when E-Type’s debut single, ”We’ve got the atmosphere”, a collaboration with Stakka Bo, was released. The single climbed directly to the top of the Swedish charts. During the following year, E-Type became a well known figure in the Swedish entertainment world as a popular television host, film soundtrack composer and a song writer for several Swedish artists. In 1994, the solo career took off when E-Type, together with the producers Denniz Pop and Max Martin (Backstreet Boys, Britney Spears, Celine Dion, among others), began to work on material for the debut album, ”Made In Sweden”.In the summer of 1994, the first result of the collaboration, the single, ”Set The World On Fire”, climbed the Swedish charts. The follow-up single, ”This Is The Way”, like its predecessor, also became a Gold selling record. The debut album, ”Made In Sweden”, was released in November 1994.The Swedish successes of 1994 were rewarded by three well deserved awards at the Swedish Dance Music Awards. Following these successes, Europe began to show increased interest in the Swedish Platinum seller. The singles, ”Set The World On Fire” and ”This Is The Way”, both entered the French and German Charts during 1995. During the Spring of 1996, the USA club scene became increasingly familiar with E-Type through ”This Is The Way”, which performed very well in the Billboard Club Chart. E-Type’s second album, ”The Explorer”, was released in September 1996 and was also produced by Denniz Pop and Max Martin. The album has yielded no fewer than five successful singles. 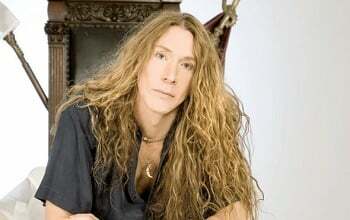 E-Types third album, ”Last Man Standing”, was released in November 1998 and in the Summer and Autumn of 1998, E-Type enjoyed even more success with the release of the singles, ”Angels Crying” and ”Here I Go Again”. The following album ”Euro IV Ever” also was a big success, with singles like ”Life” and ”Africa” doing well on the charts. Let’s hope that the album released in the spring of 2004 will be even more successful. Since the E-type appears in Melodifestivalen with first single ”Paradise”, the chances are good! E-type has also been seen in within other domains than the music industry. In the year 2000, E-Type’s first book, ”Sveakampen” was published. The book is a semi-autobiography about Vikings in which the characters are based on E-Type’s friends and acquaintances. By the end of 2001, Sveakampen was also available in the form of a computer game.